Trending at $19.01eBay determines this price through a machine learned model of the product's sale prices within the last 90 days. You will receive only the depicted item. Processor Type Core i7 2nd Gen. Socket Type Socket G2. Q: What Are The Warranty Details?. Then, place a new order for the item of your choice. MPN FF8062701065500. Part Number: SR1H9. Type: Core i5. Socket: G3. Platform: Laptop. Core Speed: 2.60GHz. All manufacturers' warranties are void unless otherwise stated. 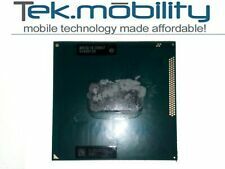 Intel CPU Celeron G3900 2.80Ghz 2MB LGA1151 Dual-Core Processor BXC80662G3900. Condition is Used. Shipped with USPS First Class Package. Socket Type Socket 1155. Processor Type Core i5 2nd Gen. Then, place a new order for the item of your choice. Clock Speed 3.1GHz. MPN CM8062300834106. Good used condition - includes exactly whats pictured. Processor Base Frequency: 3.6 gigahertz. Processor Turbo Frequency: 4.9 gigahertz. And you'll experience maximum performance for everything you do. With 3.6GHz processor speed which gives you efficient use of the processor, high processing throughput and improved performance. Be aware that my hours of operation are 9am-5pm Pacific, M-F. We are an R2 2013 certified facility. Other Info. AMD Part Number: HDXB95WFK4DGI. AMD PHENOM II X4 QUAD CORE B95 PROCESSOR. Socket:AM2 / AM3 95 WATTS. To protect the pins, the processor will be placed in a. Note: The last five digits of the serial number of each processor. Trending at $27.11eBay determines this price through a machine learned model of the product's sale prices within the last 90 days. PART NUMBER SLBW2. PROCESSOR NUMBER W3690. INCLUDE WITH PROCESSOR. INSTRUCTON SET 64-BIT. WEIGHT 1LBS. Processor Number: Xeon X3450. Socket Type: SOCKET 1156 (LGA1156). Bus Speed: 2.5 GT/s DMI. L3 Cache Size: 8MB. Processor Core: Lynnfield. Point of Sale (POS). Asset recovery and recycling services. You will receive this part as pictured. Sale is for processor only. No exceptions. SOCKET TYPE LGA 1366/Socket B. L3 CACHE 8MB. PROCESSOR TYPE Xeon. If you prefer you may also feel free to recycle such materials to any local R2 or e-Stewards certified recycler. All Red Door Processors are tested. Xeon CPU/Processors. Core 2 CPU/Processors. Dual Core CPU/Processors. Point of Sale. Generic Picture Used. Visible marks and scratches on heat spreader. Bare CPU/Processor only. Apple & Mac. Xeon CPU/Processors. Core 2 CPU/Processors. Dual Core CPU/Processors. Point of Sale. Tested for Full Functions, R2/Ready for Reuse. Generic Picture Used. Bare CPU/Processor only. Apple & Mac. Product failed within the given warranty period. Product falls outside of the warranty period. If you are having a problem with an item. Every item, unless noted, is sold "AS IS" and has no. Core 2 CPU/Processors. Dual Core CPU/Processors. Point of Sale. Tested for Full Functions, R2/Ready for Reuse. Generic Picture Used. Bare CPU/Processor only. Apple & Mac. Cables Connectors. Defective or Not Described. Then we will. Wrong size doesn't fit. Or it doesn't fit your application and is marked No longer want the item. Model: Xeon X5677. No Exceptions. 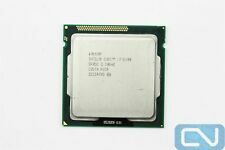 For sell is a used intel i5 4570s CPU. This processor was pulled from a wlrking computer. No heatsink/ fan will be included. CPU ONLY. AMD Part Number: HDZ965FBK4DGM. AMD PHENOM X4 965 QUAD CORE Processor. Note: The last five digits of the serial number of each processor. Pleas be sure this processor will work with your motherboard. # of Threads 6. Processor Base Frequency 1.70 GHz. BE AWARE ALL PRODUCTS HAVE A LABEL FOR WARRANTY PURPOSES, DO NOT REMOVE IT BEFORE YOU DO THE NECESSARY TESTS. Included in the sale is the processor only. No cooling components or thermal paste is included. DO NOT BUY THIS PRODUCT IF YOU DON'T KNOW FOR A FACT THAT THIS ENGINEERING SAMPLE WILL WORK ON YOUR BOARD. Trending at $50.33eBay determines this price through a machine learned model of the product's sale prices within the last 90 days. Product Collection. Instruction Set Extensions. Instruction Set. Processor Graphics ‡. Processor Graphics. Advanced Technologies. Low Halogen Options Available. 37.5mm x 37.5mm. AMD Part Number: FD8120WMW8KGU. Socket:AM3 95 WATTS. AMD FX-8120 3.1 GHZ EIGHT CORE Processor. To protect the pins, the processor will be placed in a. Note: The last five digits of the serial number of each processor. Milwaukee M18 Red Lithium High Output XC 6.0 Batteries. Sold totally AS-IS. Processor Base Frequency 3.10 GHz. Cache 20 MB SmartCache. Max Turbo Frequency 3.80 GHz. Working System Pull.